Completed the filing and sanding phase and she’s up and ready for painting, well almost. 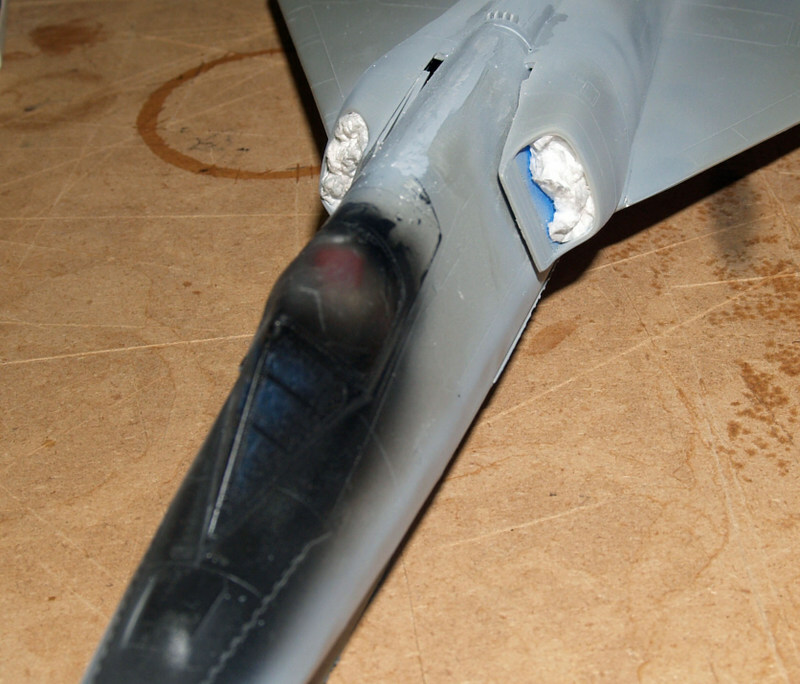 After I took these pictures and started painting I found that in my overzealous sanding caused some flat spots on the fuselage and that the external fuel tanks still had some gaps that needed to be filled. So we spent the greater part of the weekend prepping the kit for painting. We did get a coat of ADC gray on her today, pictures to follow. 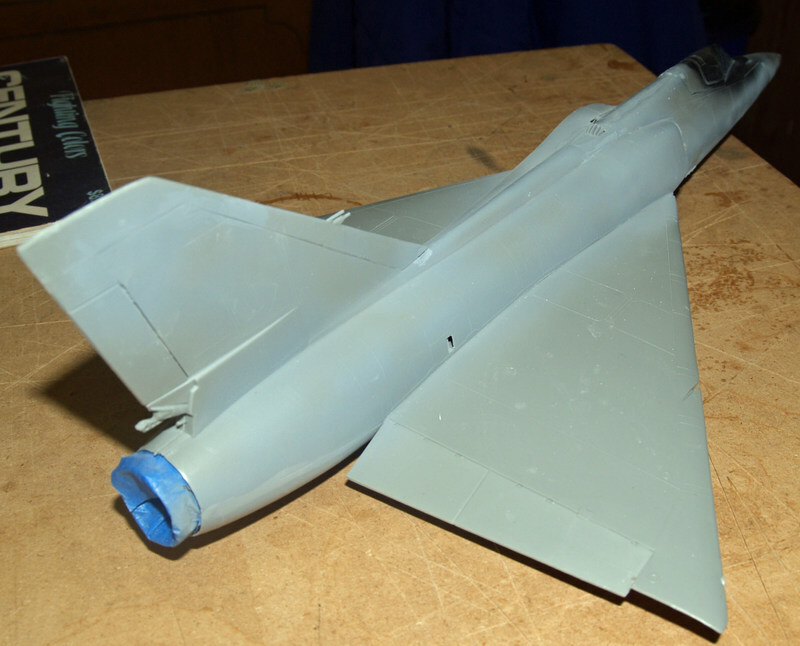 Most of the parts of the aircraft are put together for the drive to start painting/decalling. I’m in the wonderful putty stage. Even though this kit goes together quite well there are a few sections that need some attention. Misalligned parts will show up under the semi-gloss ATC gray this will be painted in. So it’s putty wait a day and sand. Put a few more parts on. Putty and wait a day and sand. I use Milliput because it doesn’t shrink and I can use a wet cotton swab to clean up the putty job before it dries, which save me a ton of time later on. Here’s a shot of the putty queen in process.